Etching, Varignana 241, signed in the plate GM Mitellii Inv. et fec. Printed on laid paper with watermark circle with indistint content surmounted by trefoil. With large margins; minor faults at margins, generally in very good condition. To the platemark 215 x 425 mm; the entire sheet measuring 300 x 490 mm. Giuseppe Maria Mitelli was the son of the prominent Bolognese quadratura painter Agostino Mitelli. Giuseppe studied or worked under Francesco Albani, Flaminio Torri, Guercino and Simone Cantarini. He was best known for his engravings but was also a painter and sculptor. 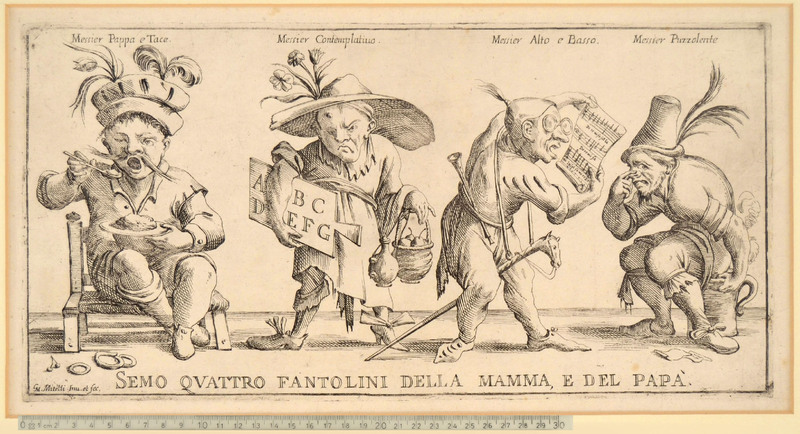 At the beginning of his career as a printmaker he worked mainly as reproductive engraver after celebrated Venetian and Bolognese paintings, but soon he created his own prints, in a great variety of subjects: genre subjects, allegories, moralistic scenes and even some bizarre cartoons that could be interpreted as sometimes subversive or presciently revolutionary. 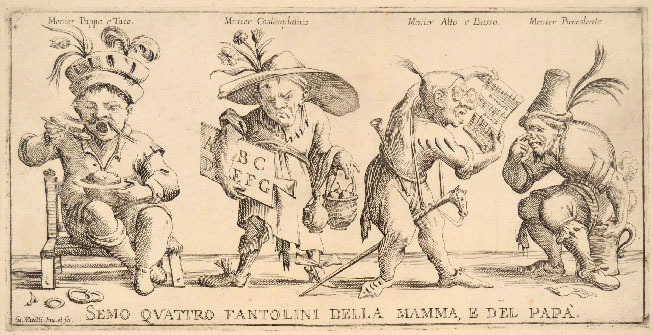 His most celebrated series of prints was Le Arti per Via (the Arts of the Street), inspired by Annibale Carracci's drawings and celebrating the tradesmen and workmen who practiced their occupations in the streets of Bologna. 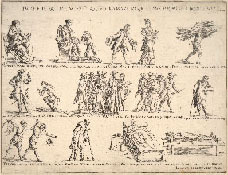 A good repertoire of his etchings was published by Franca Varignana; see F. Varignana, Le collezioni d’arte della Cassa di Risparmio di Bologna, V, Le incisioni, 1, Giuseppe Maria Mitelli, Bologna 1978.